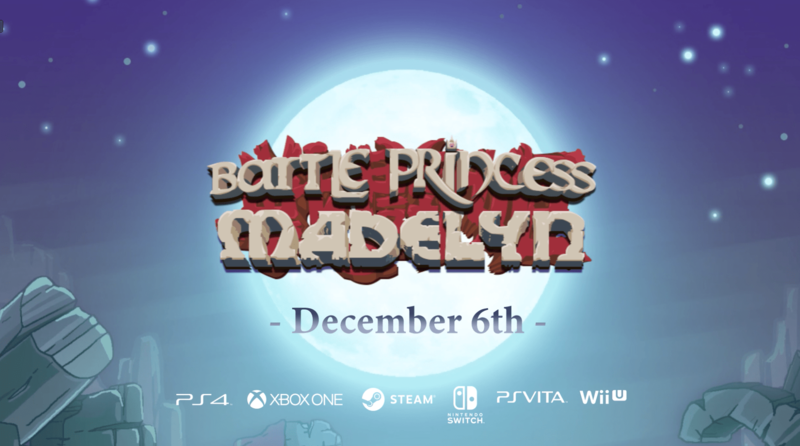 A release date has just been finalized for Causal Bit Games’ highly-anticipated title Battle Princess Madelyn. PlayStation 4, Xbox On, Nintendo Switch, and Steam users can expect a simultaneous release on December 6th, 2018. For those looking forward to the Vita and Wii U releases, rest assured that these will follow in 2019. For those unfamiliar with the title, it was successfully kickstarted back in early 2017. It takes heavy inspiration from Ghouls ‘N Ghosts, mixing together classic, arcade side-scrolling action with adventure elements. Featuring hand-drawn pixel art and an arcade FM soundtrack by Gryzor87 (Maldita Castil), everything is tied together with an original story written by a professional children’s author. We did an impressions piece on the early-access version back in March of 2017. Be sure to give that look if you’d like to see more in-depth details about the game. There is also a Steam page available for the full release. Lastly, be sure to take a trip to Causal Bit Games’ official website for more information about the people behind the game.